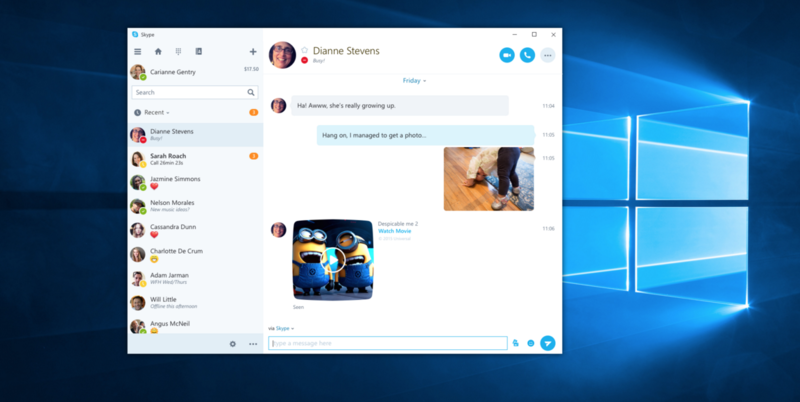 Microsoft announced that in the coming weeks, it will release the initial version of the Skype Universal Windows Platform Preview app to Windows Insiders. This was created after collecting and analyzing feedback from the consumer preview of Skype Integration for Windows 10. The company says it learned a lot from that preview, and that informed the new preview app. The look and feel have been simplified, and redundant menus have been eliminated. Global menus are now in a single Settings menu, and Skype says contextual menus will appear in upcoming releases. Read the blog post for more about what to expect from upcoming releases. You can also find more in the FAQ document here.